In a best of three series Samsung hosted game one at home against KB Stars. KB got out to a great start on the road and took the lead early on. Kb held Samsung to just 12 points in the first quarter while taking a seven point lead into the half. The second half was all Alyssa Thomas and Kimberly Han of Samsung as they single handedly carried their team to victory. 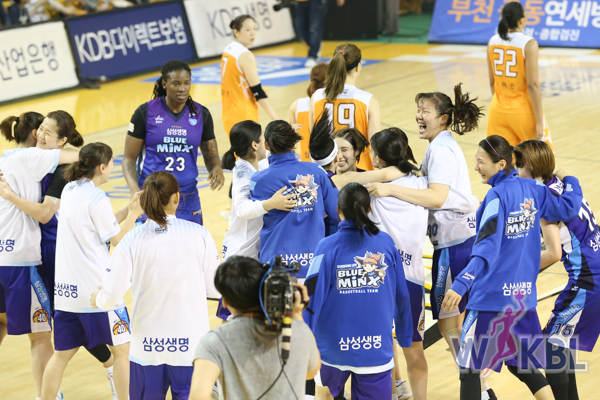 After cutting the lead to two to begin the fourth, Samsung pulled away to win 74-69. Alyssa Thomas finished with 30 points, 17 rebounds! Game two will be played on Sunday in Chungju; home of the Stars. A deciding game 3 will be played on Tuesday if necessary. 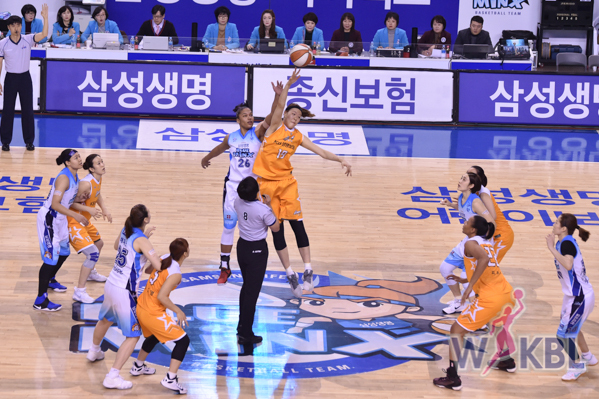 The finals begin on March 16th as Woori Bank awaits their opponent.